Gareth Barry marked his 600th Premier League appearance with a goal as Everton battled back from a goal down to trump Middlesborough 3-1 at Goodison Park. 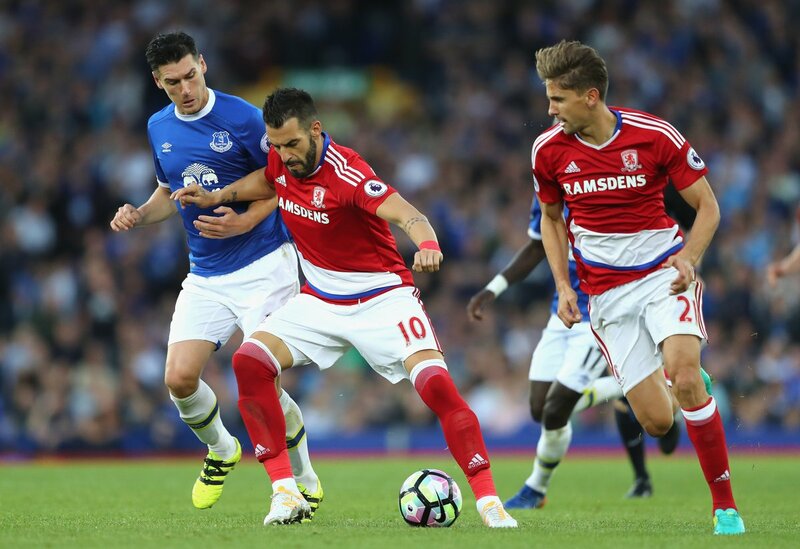 Alvaro Negredo's presence had forced Maarten Stekelenburg to inadvertently drop the ball into his own goal before Barry, Lukaku and Coleman ensured Ronald Koeman's side continued their impressive vein of form this season. Despite a quiet start and lack of intent from either side early on, Middlesborough should have taken the lead when Daniel Ayala missed Stewart Downing's flick on across goal at the back post. A midfield battle of wits ensued as the teams appeared to have found each other's match. It took another fifteen minutes before the Goodison crowd saw another shot on goal, Victor Valdes palming away Ross Barkley's fierce effort from 20 yards. This proved to be the turning point in the game, as both sides proceeded to score within the following few minutes. First, Alvaro Negredo launched himself into an aerial battle with Stekelenburg for Downing's floated cross, and the Dutch 'keeper spilt the ball over the line to gift the lead to the promoted side. 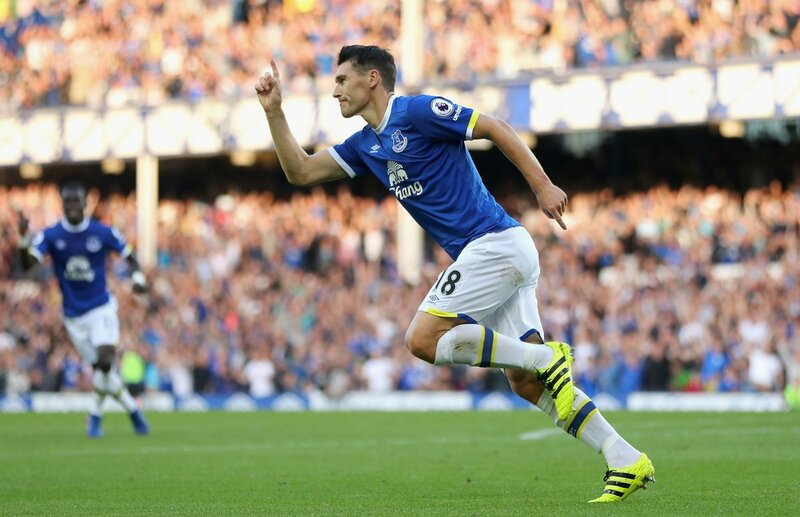 Just a minute later though, the hosts were back on level terms courtesy of a memorable goal for the man of the moment Gareth Barry; the former England international arriving at the back post to smash past a crowd of players after Kevin Mirallas' corner had eluded all but one player on the pitch. Cue elation inside the stadium. Summer signing Yannick Bolasie looked to open his Toffees account with a looping header from 15 yards out, but his effort carried too much height to trouble Valdes. Just as it seemed the teams would go in at half time with the scores level, Seamus Coleman had other ideas. The Irish right-back waltzed past a handful of defenders before expertly slotting in to the bottom corner with his weaker left foot. As if that wasn't enough, Romelu Lukaku got in on the act right at the end of a fairly quiet half for the big Belgian powerhouse. Yannick Bolasie's cross was met with the faintest of touches by Lukaku to give Ronald Koeman's men a 3-1 advantage at the break. Ross Barkley continued to stand out as the marquee player on show in the second half, intimidating a much quieter Boro backline with his pacy runs and ferocious shots from outside the box to work Valdes. The 21-year-old tried to slip a threaded pass through to Lukaku, but the striker was not sharp enough to latch on to it, limping off with an apparent muscle strain shortly after as deadline day signing Enner Valencia made his debut. Both sides appeared to have accepted the result, and the match was drifting along increasingly aimlessly as Middlesborough looked laggy and lifeless, praying for time to speed up. 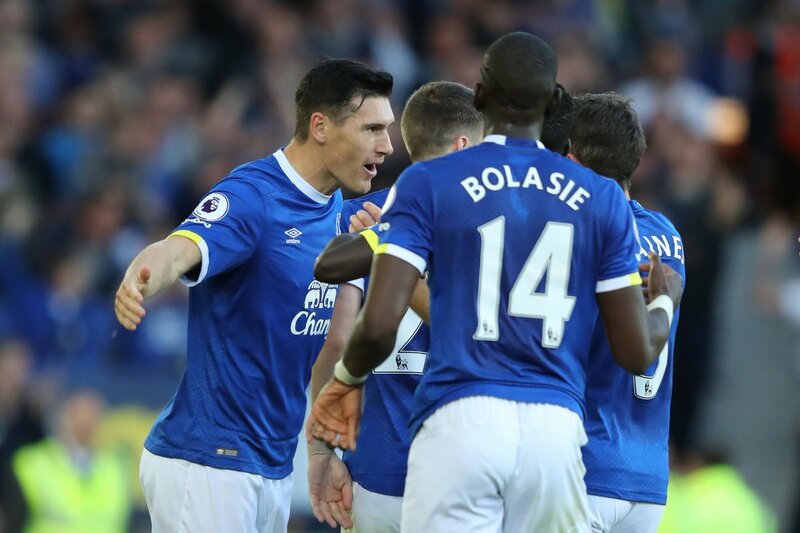 Another win for Everton, who now occupy second place in the Premier League standings behind the all-conquering Manchester City. The arrival of Ronald Koeman has clearly rejuvenated a group of players who were deflated by the end of Roberto Martinez's tenure, and Toffees fans will be delighted with their quick progress thus far.